The Lotus Elise S1 is as desirable today as when it was launched 20 years ago. There are still some cars around the £7500 mark (one hesitates to say ‘bargains’, because a cheap, badly bought Elise could cost double that in repairs), but expect to pay from £9000 for an honest highmiler. Even at that price you should take a sceptical friend along, tasked with asking the awkward questions. 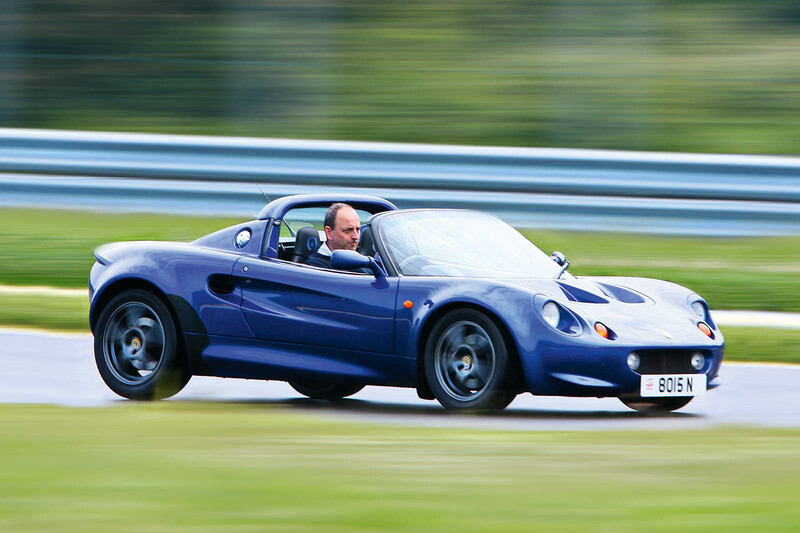 If you like those answers and the car is straight (a big ‘if’, given the Elise’s popularity as a track day car and the tendency for drivers less well acquainted with its rear-wheel drive chassis and rapier-quick steering to go off-piste), you’re in for a treat. The Elise’s immensely strong but lightweight aluminium chassis (the rear subframe is steel), glassfibre body and absence of bulky luxuries such as servo assistance for the brakes and steering mean it tips the scales at just 725kg. As a result, its modest, mid-mounted 118bhp 1.8-litre Rover K-series engine can fire it from 0-62mph in just 5.5sec. Throw in all-round double wishbone suspension and you’ve got a quick, agile and astonishingly communicative two-seater. Much of the Elise’s structure is on show in the cabin, making it that bit easier to spot a crashed and repaired car. Repairs should be obvious, but lift mats and carpets for a closer look. The cabin is cramped and driverfocused, with a tidy Stack instrument cluster, a tall, business-like gearlever, drilled alloy pedals and even drilled alloy window winders. Standard equipment at the car’s 1996 launch amounted to alloy wheels (kerbing them can easily throw out the tracking), an immobiliser and cloth upholstery. Still, what did people expect for £19,000? Most chose to add leather, driving lights and metallic paint, with those luxuries pushing the price to over £20,000. In 1997 the first of a series of uprated models arrived with the launch of the 187bhp Sport 190, which could do 0-62mph in 4.4sec. It cost £33,000, and the detuned Sport 135 that followed in 1998 was only slightly cheaper at £29,000. In 1999 the track-focused 340R was launched (it wasn’t a big seller), and in the same year the 143bhp 111S arrived, with six-spoke alloys, more seat padding and wider rear tyres. It’s less frenetic than the standard car but no quicker from 0-62mph, due to its close-ratio gearbox with taller lower gears and a shorter top. In 2000, as the S1 prepared to bow out, the Sport 160 was launched. Despite all these more powerful variations on a theme, it’s that first 118bhp 1.8 that established the S1’s reputation as a cheap but brilliant sports car, and it’s the one you’re most likely to find for sale. It requires careful buying, though. Bonded aluminium and glassfibre aren’t the easiest to repair, the steering and suspension are sensitive to abuse and some prices are off the scale, but be guided by condition and shop when autumn makes sellers twitchy and you won’t go wrong. Check under the front clamshell for speed bump damage. All panel gaps should be even. Beware Cat C writeoffs, which are worth much less. Aluminium chassis is hard to repair, but much of it is exposed, so bodges should be obvious. Look underneath for evidence of off-track excursions. Steel rear subframes can rust badly. Elises handle well even with worn ball joints, steering rack and wishbone bushes, so be sensitive to looseness and wayward tracking. The pads can rattle or make a clicking sound. It’s not a major problem. Some head gaskets failed, so check for ‘mayonnaise’ at the oil filler. Have the gasket replaced by a specialist using Lotus parts. Cambelt changes are every four years or 54k miles. If the radiator leaks, replace it with the all-aluminium type (it’s not a cheap job). Check power upgrades haven’t affected the emissions controls. Every 9000 miles and ideally by main agents or specialists. Tough and mechanical-feeling, but if it’s notchy, suspect weak linkages or synchromesh. A whining diff suggests too many race-style starts. It’s fiddly and fragile and it leaks. Early mild steel exhausts rotted. Some cars have had a ‘cat bypass’ fitted; ask for the original catalytic converter. It’s an MOT fail without it. High sills and prominent seat bolsters get scuffed. Budget for refurbishment. Also worth knowing Eliseparts.com is your one-stop shop for new and used parts. It sells gift cards, too, so a loved one can surprise you with, for example, a wheel bearing and hub flange kit (£398) or even an unpainted clamshell (£1500). Lotus Elise S1 prices - how much to spend? A 1999 T-plate S1 with 90k miles, “full history” and lots of new parts is £7500. A fresher 1999 S-plate with 90k miles and a “no expense spared” history is £8995. Has refurbished wheels, so check the tracking and suspension. Perhaps a 2000 W-plate S1 with 46k miles, two owners and lots of history for £11k? Or a rare, high-mileage 99T Sport 135 for £11,350? 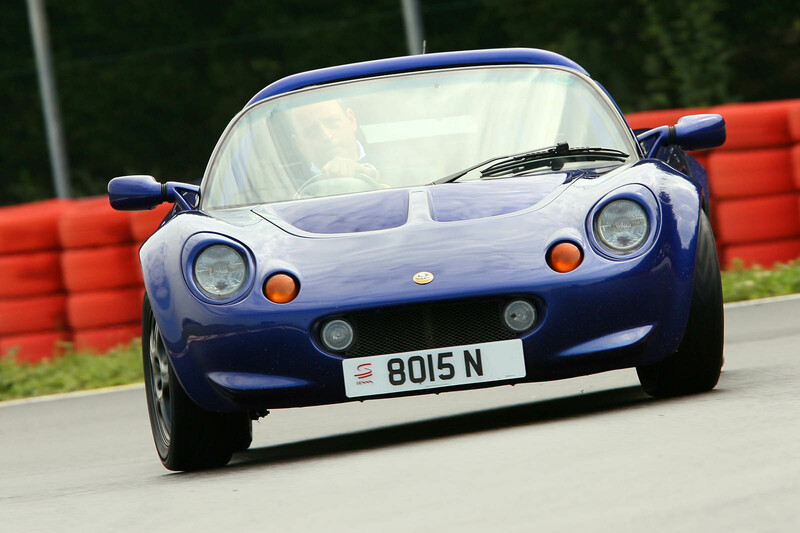 Steve wrote an article recently about buying an immaculate elise from a lotus specialist and described it as the car he had always yearned to own yet within a months I saw it mentioned in the magazine that he had flogged it . Why? Best admired from a distance? I suspect that an S1 Elise is a car best admired from a distance, unless you have access to workshop facilities and plenty of time on your hands. But I've only owned old Elans, so what would I know? One thing I would suggest is that Autocar should use some actual photographs of old cars to illustrate these features, not period road test pictures of a factory fresh example.